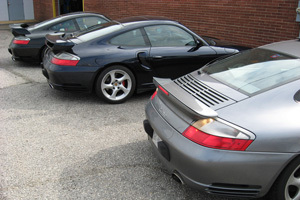 Services for Porsche: specialized and focused. We stick to our passion: Porsche. Whether you’ve owned your car for 50 minutes or 50 years, we understand why you purchased your Porsche and know what it takes to keep it on the road or on track for decades to come. For Porsches of all types we offer general service and repair, street performance and motorsport preparation, including full scale mechanical and visual restoration of street and racing vehicles. Using a combination of state of the art equipment and old-world craftsmanship, we give each customer and vehicle the attention they deserve. Our process is simple. We take our knowledge and experience, applied with common sense and a process of diagnosis to determine how to best resolve a fault or achieve a certain result. These objective facts are presented for a decision to be made by the customer. While this may not always provide the answer one may be looking for or hoping for, our frank and honest assessment is on what we stake our reputation with our customers, in the industry, and with regards to our quality of workmanship. From basic to advanced, Lüfteknic offers all types of preventative maintenance, repair and vehicle diagnostics on all Porsche vehicles. We are an authorized Bosch Car Service Center and have the specialty tools and knowledge to service every generation and model Porsche produced. We regularly receive training from Bosch on the latest in vehicle systems and repair. Performance upgrades for street and track. Engine, transmission, braking, suspension, wheels, tires and safety systems can all be improved for better performance, aesthetics or both. We offer brands such as KW, Guard Transmission, Ohlins, BBS, GIAC, Pagid, Michelin, IPD and more. 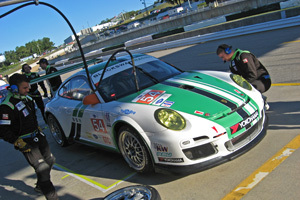 Lüfteknic staff have been a part of championship winning teams competing with Porsche from Daytona to Le Mans. Whether you’re a novice looking to start driver education track days, are a seasoned club racer or looking to make the leap to the professional level, Lüfteknic can work with you to build your program. 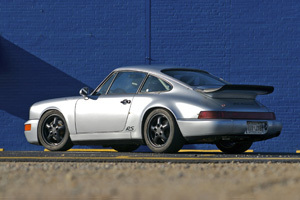 A pre purchase inspection (PPI) is of the most important steps in Porsche ownership, period. 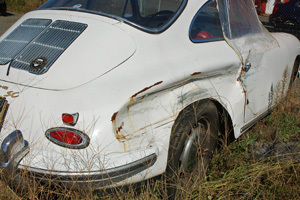 A well informed buyer is a smart buyer, and with a pre-owned Porsche knowing the overall condition before you commit can potentially save you substantial sums of money. Lüfteknic offers PPI services for buyers and sellers alike. 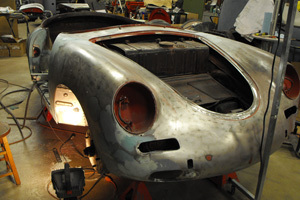 As much an art as it is a science or mechanical task, we offer complete restoration and refurbishment for Porsche cars, from the earliest 356 models and onward. With decades of experience and the fierce passion that is required to see these large projects through to completion, Lüfteknic works closely with our customers from start to finish, every step of the way. 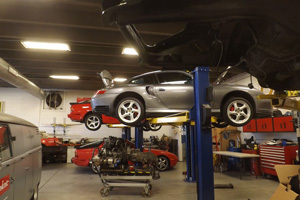 There is much more to having your Porsche serviced than finding a center to perform quality work. If you have an interest in how to get started on a restoration project, service relationship or motorsport program with Lüfteknic, this section is intended to let you know a little more about us and the way that we do business. When it comes to large scale projects there are many questions. What’s the next step? What’s the budget? When can it happen? Can it be done in stages or is it ‘all-in?” Start here for a basic sketch on how we do business, and how we’ll work with you to plan out the process start to finish.